Weight loss and fat reduction supplements are a major product in the diet and health industry today. In fact, around seven percent of the American population has used, or is currently using, weight loss supplements of some type. This translates to over 17 million people. One of the popular types of weight loss supplements is known as garcinia cambogia. 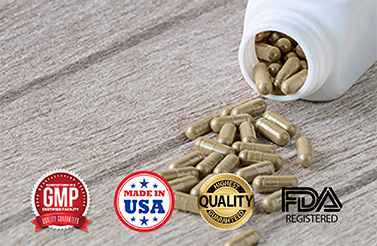 Learn more about this supplement and where to manufacture it from the supplement manufacturing experts at BioThrive Sciences. Garcinia cambogia is a type of fruit, also known as the Malabar Tamarind, that is said to provide weight loss and lipid-lowering qualities. The rind of this fruit contains HCA, or hydroxycitric acid, that helps boost fat-burning and reduce appetite. It is also said to help control blood sugar levels and cholesterol levels. These supplements are taken a half hour prior to meals to help control appetite levels and increase satiety. Given the popularity of this weight-loss supplement, it’s important to retain a high standard of quality to gain an edge in the market. At BioThrive Sciences, all of our products are FDA-regulated and GMP-certified. We always test our products to ensure the highest quality and use all-natural ingredients in our supplements. When you work with BioThrive Sciences, we provide a full range of services including encapsulation, coating, tableting, granulation, clinical packaging, package and label design and printing, custom formulations, and export assistance. Contracting with us should make running your business easier and more efficient, whether you own a small supplement shop or a large chain of health stores. Our team helps ensure that all supplement labels are compliant and that they reach your target audience and market. We exist to make running your business simpler, so that you can focus on your customers and company. Along with our full-service manufacturing, we also provide custom formula creation, domestic and international shipping, and private labeling. That means that you can have a custom supplement with specific market-targeted labels built for you, and you alone. Learn more! Contact us today at 844-263-3657 and ask about free label design on your first order.